Daylight Saving may have come to an end, but Neva isn’t buying it. She tucked her furry nose under my chin Sunday morning at 5:30, probably wondering why I was 30 minutes late taking her outside and feeding her dinner (breakfast). By 5:30 in the evening, she was sitting politely in the great room, staring at the empty space next to her water dish where her dinner is typically served 30 minutes later. I’m not sure if Neva cues off the light of day or her little doggy tummy, but Mountain Standard Time apparently has no bearing on her feeding schedule. It sure FEELS like fall with the shortening days, but we aren’t getting the snow necessary for things like skiing, ski season, ski resorts, and did I mention SKIING?! But alas, if I can’t ski, I can most certainly bake. 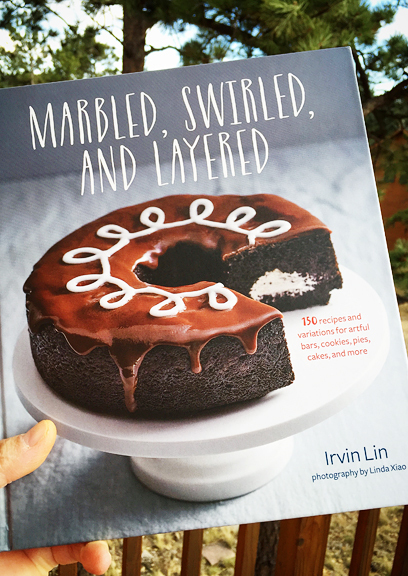 I made the most of our lack of snow when I received two packages in the mail a few weeks ago: a review copy of Irvin Lin’s first book, Marbled, Swirled, and Layered, and two dozen beautiful Pink Lady and Piñata apples from Stemilt Growers. Marbled, Swirled, and Layered is packed with gorgeous and exciting recipes. Irvin is a truly skilled baker with a great eye for aesthetics as well as a creative flare for fun and refreshing flavor combinations. He walks you through each baked creation with clear instructions, but all of them involve multiple components made from scratch – an ideal book for people who love to bake and those wanting to take their baking to the next level. It was tough deciding which recipe to make from Irvin’s book. I dog-eared a couple dozen, but I was ultimately drawn to the apple brown butter tart. Believe it or not, I had been recipe testing some apple brown butter tarts when the book and the apples arrived, but Irvin’s version was adorned with lovely apple roses and the brown butter filling was spiced with all manner of warm autumn flavors. Let’s start with the crust. The crust recipe is pretty straightforward and not terribly messy as long as your work area is cool and your hands are cool or cold. Once things warm up, it’s harder to handle the butter and the dough will become sticky. 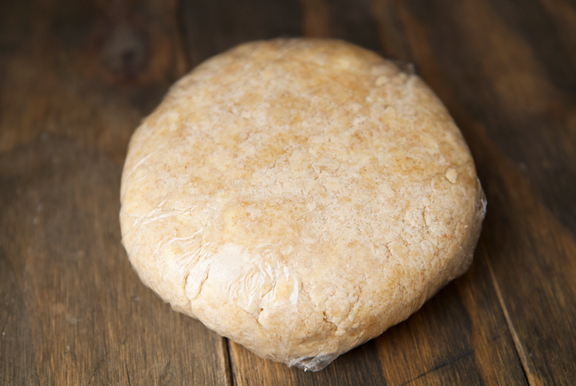 I found the dough easy to work with and rolled it out between two sheets of plastic wrap. I do this because it’s easy to transfer the dough to the tart pan and because my hands usually warm up after I use the rolling pin, so it keeps the butter in the dough from melting and sticking to me. Some crust doughs can be maddeningly difficult to shape into a pie or tart pan, but Irvin promised this one was quite forgiving. He was right. 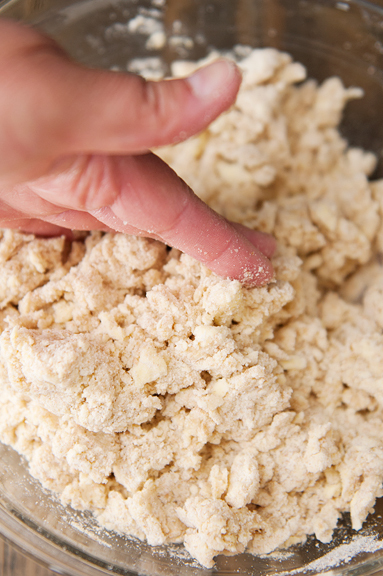 Any gaps could be patched up with scrap pieces that blended into the dough seamlessly. I made this recipe twice – once in a 10-inch tart and once in an 8-inch tart and two 4-inch tartlets. They were all beautiful, but I had a few issues with the 4-inch tartlets. For one thing, the crust to filling ratio was too high for my tastes whereas it seemed just right for both the 8-inch and 10-inch tarts. I suppose I should have rolled the dough out a little thinner, but math doesn’t lie, folks. While the crust cooled, I made the spiced brown butter filling. A word of caution – while I cooked the butter, my cardamom pods popped toward the end and I was splattered with hot butter resulting in several burns on my arms and hands. To prevent this exciting surprise, I suggest cutting a slit into the side of each pod before heating it in the butter, that way it won’t burst and scare the living daylights out of you. I’ve worked with and messed up brown butter enough times now that I recommend constant stirring of the butter over medium heat until you see a streak of brown appear in the foam that forms on top. At that point, I remove the pan from the heat source and continue to stir until it all turns a nice golden color. Another reason I constantly stirred the brown butter was because the orange zest tends to burn on the bottom of the pan if left alone. Once the butter is ready, you can discard the spices, but leave the zest and nutmeg dregs behind – they help flavor the filling. Also, you can use vanilla extract in place of the vanilla bean. If you do, wait to add the vanilla extract last to the filling (don’t add it to the butter before browning, you’ll just burn it off). Next up – the apple roses. 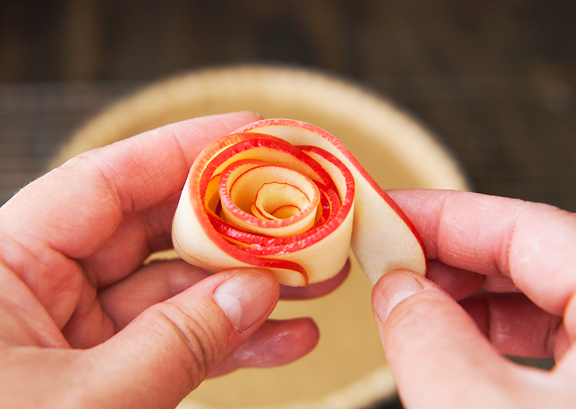 Apple roses are beautiful and delicious, but they can be time consuming. It’s this bit of flair that takes your tart to the next level. It will garner the wows, to be sure. 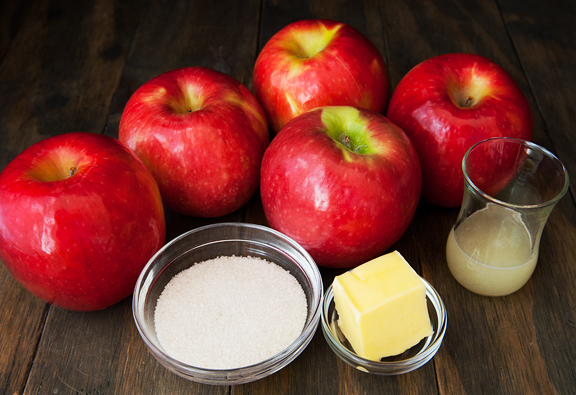 However, if your goal is to simply bake an apple tart and you aren’t married to the idea of apple roses, you can just as easily cut thicker slices or dice the apples and heat them in a pan with the butter, lemon, and sugar, and then arrange them on the tart filling. I found slicing the apples thinner than 1/16-inch thickness resulted in less impressive roses. Thicker than 1/8-inch thickness made it difficult to wrap the roses without having the slices rudely unfurl. It takes a couple of tries before you figure out what works best for you – just be patient and have extra apples on hand in case you need more slices. 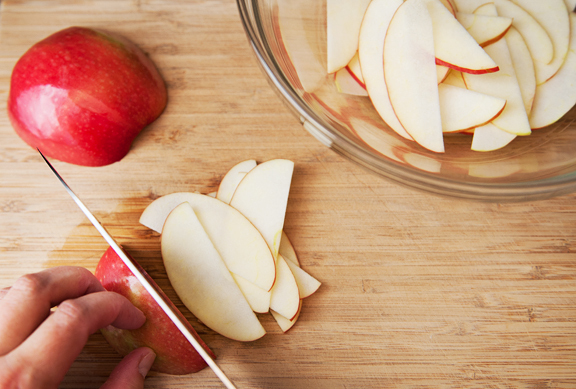 Also, the geometry of your apple slices matters. The goal is to have semi-ellipse shapes with apple peel on the rounded edges (those are your “petals”. My microwave must be pretty lame, because it took nearly 3 minutes for me to get my apple slices soft enough to be pliable. 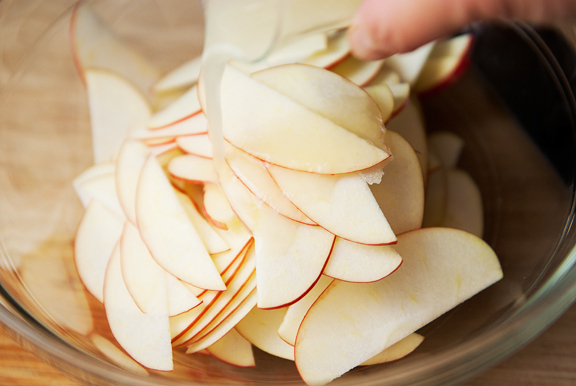 To ensure you don’t overnuke your apples, cook them on high for a minute, then check them and add 15 seconds at a time until the slices can bend without breaking. Start each rose with your thinner slices, as they are easier to wrap in tight rolls. I overlapped the end of each new slice with the end of the old slice to help keep my roses from unraveling. Working from the center outward, I arranged the apple roses in the tart filling, tucking unfurled ends in between roses to keep them in place. 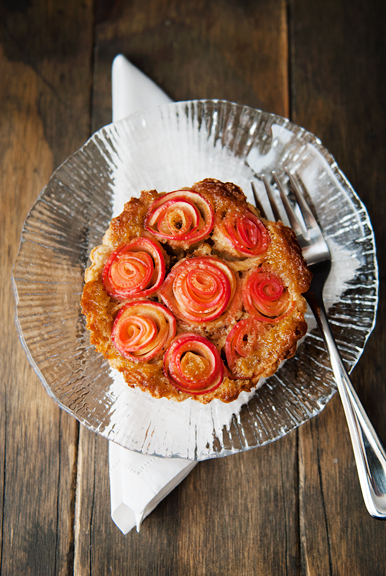 Since circles don’t pack efficiently, make smaller roses to fill in the gaps until the entire tart is covered. Once the apple roses were done, I felt I was in the home stretch! The last step was to make a crumble topping. Here is where my second issue with the 4-inch tartlets came up. 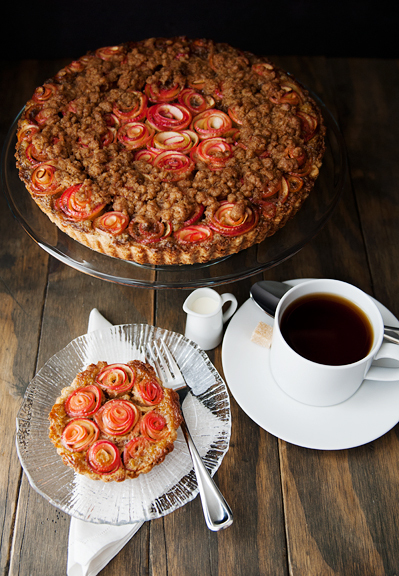 The streusel is sprinkled in a ring around the tart. 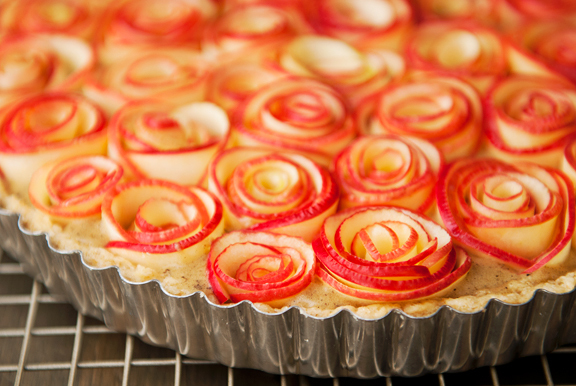 For the larger tarts, this is fine because you still have plenty of roses in the center. 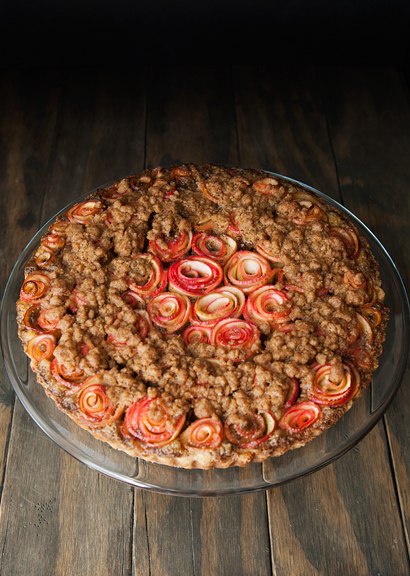 On the 4-inch tartlets, the streusel covered up the roses, basically obliterating all of that hard work. I made a few tartlets with the crumble topping and a few without. They both tasted great, but the tartlets without the topping were far prettier. Full Disclosure: I received a complimentary review copy of Marbled, Swirled, and Layered from Houghton Mifflin Harcourt with no obligation on my part. 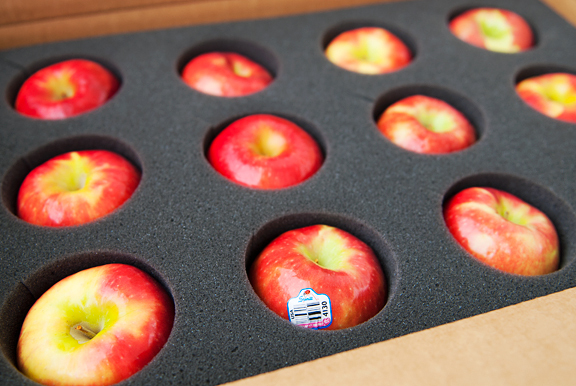 I also received two flats of apples courtesy of Stemilt Growers with no obligation on my part. 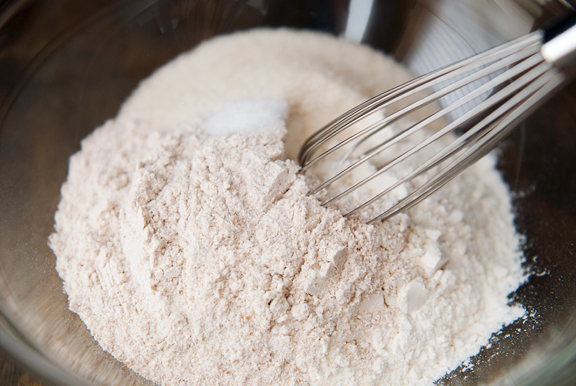 Prepare the crust: Combine the flours, sugar, and salt in a large mixing bowl. 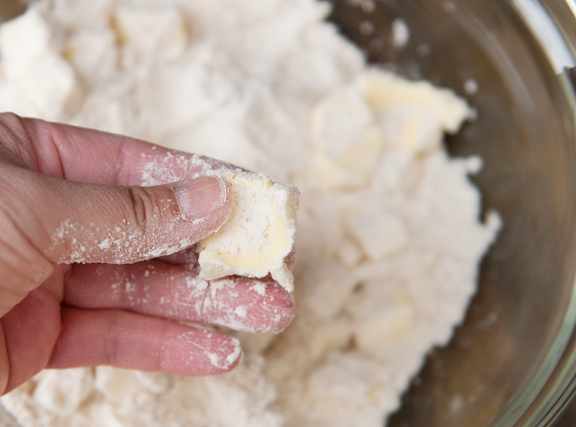 Distribute the cold butter cubes over the flour mixture and toss to coat. Squeeze each cube of butter between your fingers to flatten the pieces. 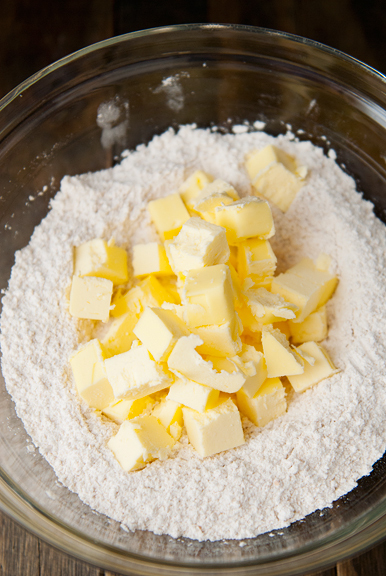 Toss the butter in the flour mixture again. 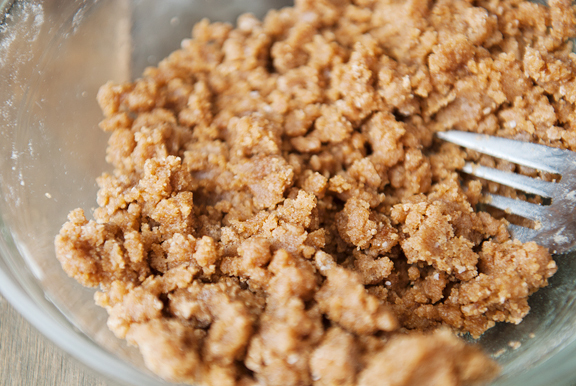 Repeat the process until the mixture resembles coarse crumbs with flattened butter flakes. 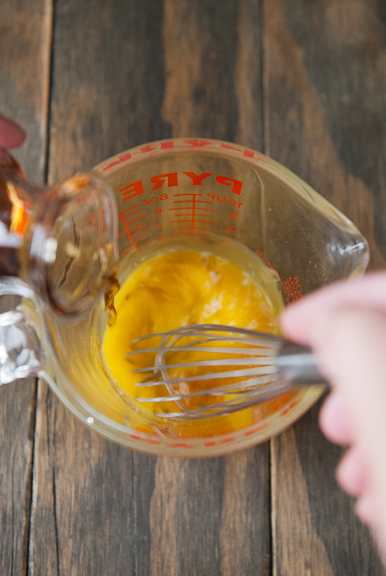 Beat the egg yolks and rum together. 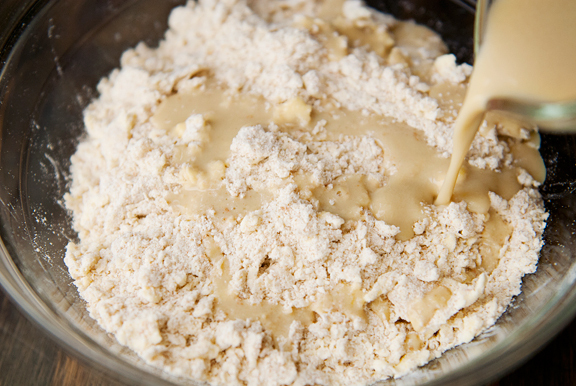 Drizzle the liquid over the flour mixture and fold them together. 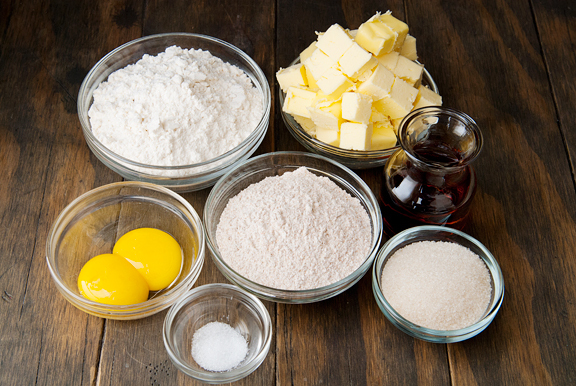 Add more liquid or more flour as needed to get the dough to stick together. It will be soft, but shouldn’t be sticky or wet. Gather the dough into a ball and flatten it to a 1-inch thick disk. Wrap in plastic wrap and refrigerate for at least 30 minutes. 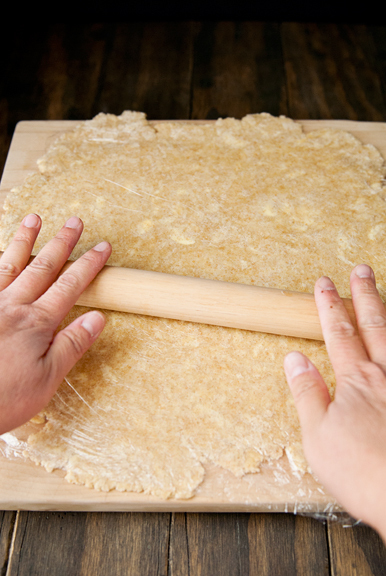 Roll the dough out to a 14-inch circle on a lightly floured surface (or between two sheets of plastic wrap). Line a 10-inch tart pan with a removable bottom with the dough, using any scraps to patch holes in the crust. [Alternatively, this recipe will also make an 8-inch tart and two 4-inch tartlets or six 4-inch tartlets.] Dock (prick) the bottom of the crust with a fork several times so the holes are well distributed. Line the dough with parchment paper and fill with pie weights (I used dried beans). 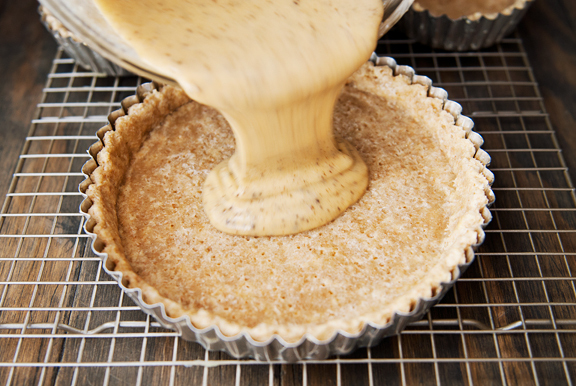 Place the tart pan in the freezer for 15 minutes and preheat the oven to 400°F. Set the tart pan on a rimmed baking sheet (it will probably leak some butter) and bake for 10 minutes or until the edges turn a light golden brown. Remove the crust from the oven and let cool. Reduce the oven temperature to 350°F. 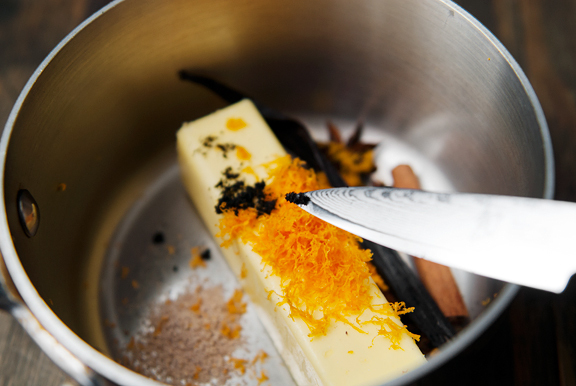 Make the filling: Place the butter, cloves, cinnamon, cardamom, anise, vanilla pod and seeds, ground nutmeg, and orange zest in a medium saucepan over medium heat. 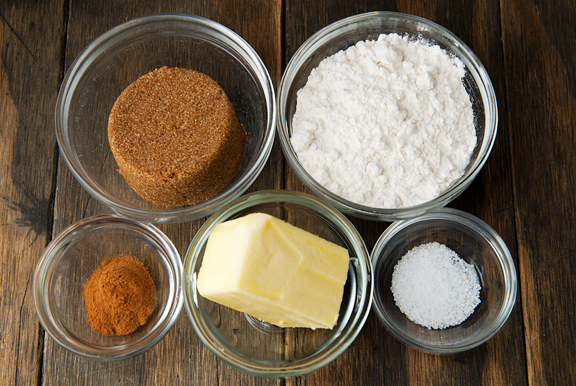 If using vanilla extract, don’t add it yet! Stir the butter until it begins to brown and turn fragrant. The butter should be just golden brown when you take it off the heat. 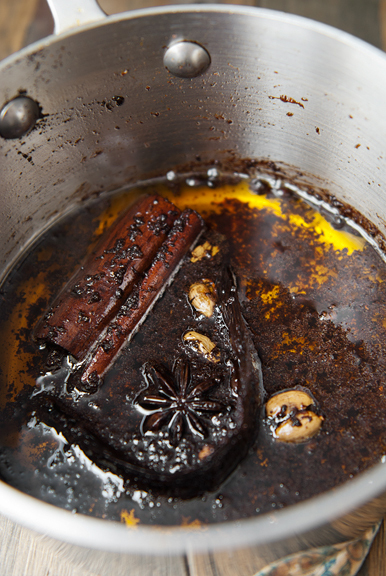 Let it cool to room temperature then discard the cloves, cinnamon sticks, cardamom pods, anise, and vanilla pod. 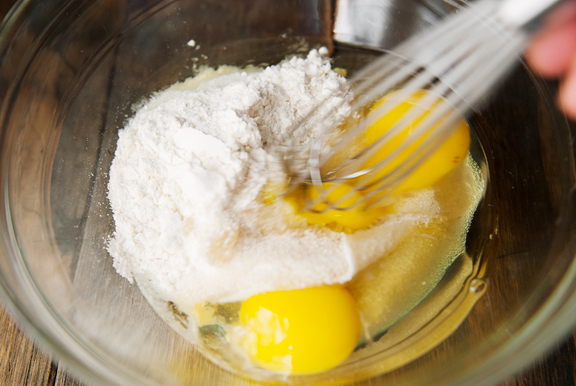 In a medium bowl, whisk the eggs, sugar, flour, and salt together. 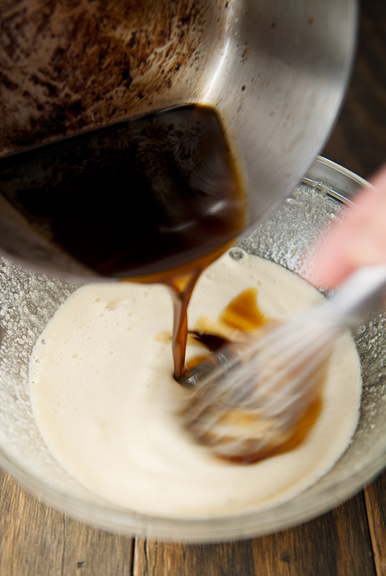 Whisk in the spiced brown butter. If you didn’t use a vanilla bean, whisk in the vanilla extract at this point. Pour the filling into the crust. Make the apple roses: Set an apple upright on a cutting surface and make four vertical slices around the core – each one at 90 degrees to the previous cut. The core should be a hyperrectangle. Discard the core. 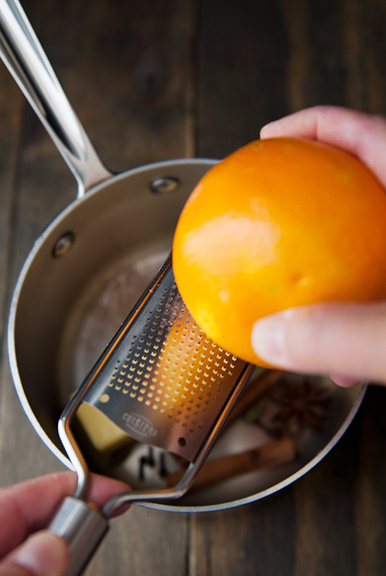 Set the apple sections flat-side down and rounded (skin-side) up. Slice so that each cross section looks like a semi-ellipse – about 1/16- to 1/8-inch thick. 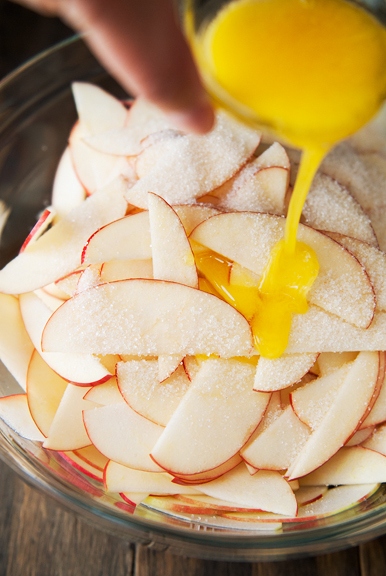 Place the apple slices in a microwave-safe bowl and sprinkle a little lemon juice over the slices (to prevent browning). Carefully toss to coat. Repeat with the remaining apples. Add the sugar and butter and toss to coat. Microwave the apples slices on high for a minute. 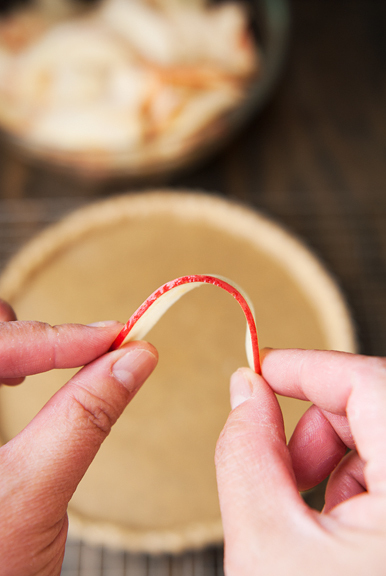 Check to see if the slices are pliable (don’t break when you bend them), if not, keep heating them in the microwave for 15 seconds at a time until the slices bend easily. Mine took 3 minutes total. To make a rose, start with the thinnest slice and curl it into a roll, with the skin-side up. Add another slice, overlapping the slices so they don’t unfurl. Continue until the rose is as big as you want (or can handle). Set the rose in the tart filling. Repeat making roses until you cover the tart. Make smaller roses to fill the gaps between the large roses. 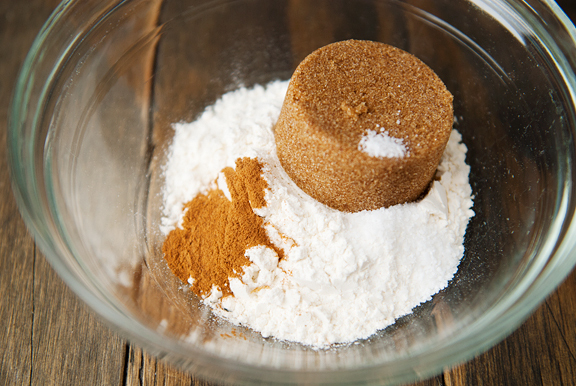 Make the crumble: Mix the dark brown sugar, flour, cinnamon, and salt in a bowl. 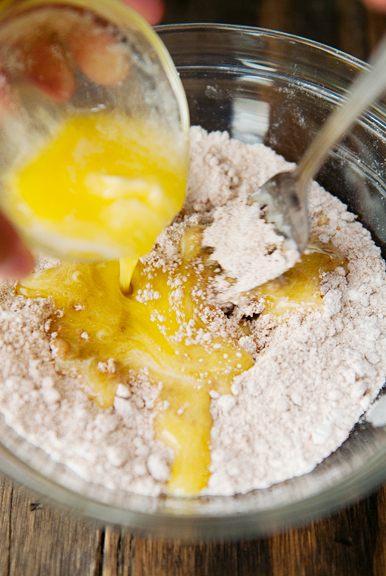 Drizzle the melted butter over the dry ingredients and mix together until clumpy. 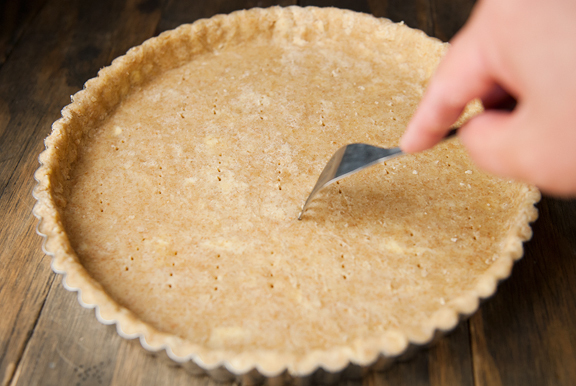 Sprinkle the crumble in a ring around the edge of the tart. 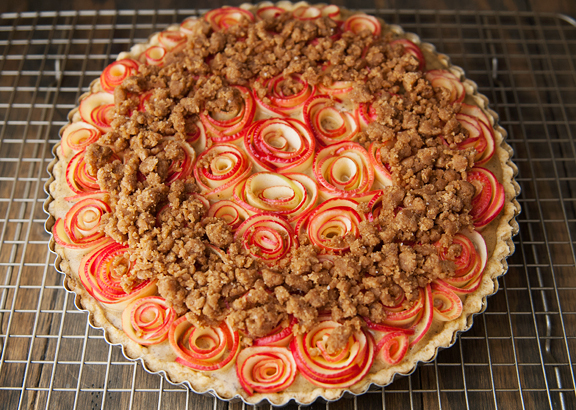 Note: If you make small tartlets, the crumble practically obliterates any evidence that there are beautiful apple roses underneath – so it’s up to you if you want to use the crumble or not. 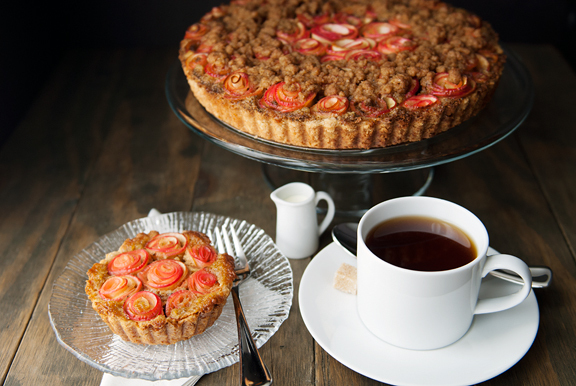 The tarts are delicious with or without the crumble, but definitely prettier without. 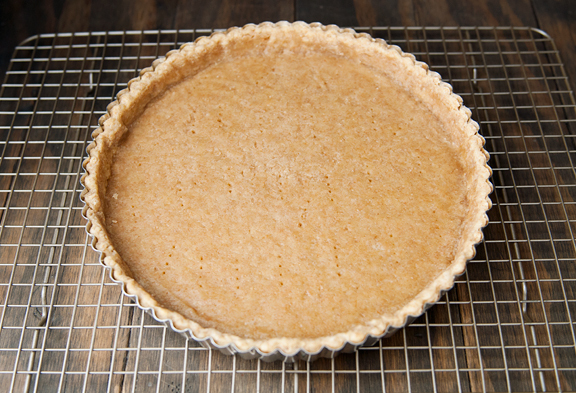 Bake the tart: Set the tart on a rimmed baking sheet (it will definitely leak butter) and bake for 50-60 minutes or until the filling is slightly golden and puffy. For my 4-inch tartlets, bake for about 35 minutes. For the 8-inch tart, bake for 50 minutes. Cool for at least 30 minutes before attempting to release the tart from the pan. Serves 8-10. Store on the counter for up to a day or covered in the refrigerator for 3-4 days (warm in the oven or bring to room temperature before serving). Oh wow, that filling sounds amazing, and the end result is certainly lovely! And thank you for your tip for browning butter. It is always a guessing game for me as to when I should take it off the heat. We are back from NZ. This trip was just to the South Island (except for a stop at the Auckland airport on the way home), so no glow worm caves this time. But we definitely want to go back! WOW, you”re amazing. You cook, you bake, you ski!! Your skills are really amazing. You are so thorough in your directions and your photos. Thank you. In the photos above, you not only made the large tart but a smaller one as well. Amazing Jenn! You inspire me to (think about) trying this. You mentioned it could be made ahead. Two or three days and stored in the frig? We’re doing Thanksgiving this year, and I’d like for this to have maximum impact. PS – I bet that crust works on other tarts as well? Always can use a forgiving crust. I’m thinking this is how you did the avocado rose on a previous post. Very pretty! Your details amaze me! So beautiful! And with that list of ingredients, it must have been deeeeeeeelicious! The book sounds fabulous. Please make the book on the cover so that I can eat it vicariously. If I make it myself, I’m afraid that I would East the entire thing. Tell me, how did the pink ladies work out for baking? My local farmer’s market only sells Fujis and Pink Ladies. I enjoy them both out of hand but haven’t tried baking with them. Did they taste good in this tart? 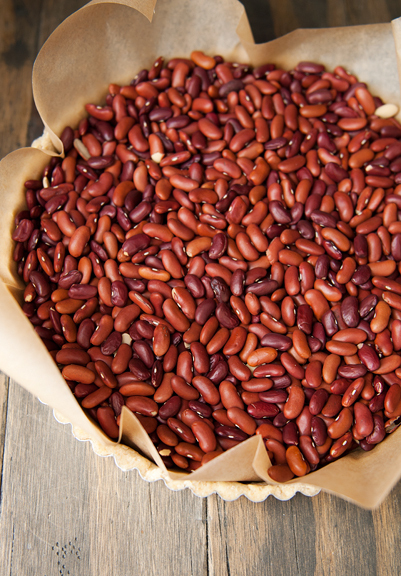 Would you use them in a pie or baked apples? 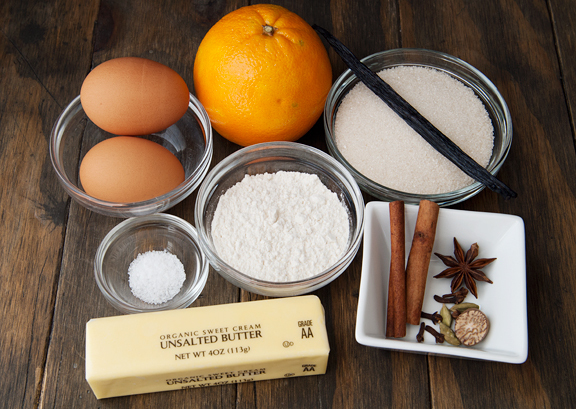 Kristin – I still don’t always get the brown butter right :) Welcome home! The South Island is so special!! Jean Ann – yes, we have been storing the leftovers in the refrigerator (in a large tupperware) and warming them up in the oven for the past week. Still delicious, but I recommend serving it within the first 2 days of making it if you can. And yes, I think you can easily use this crust for other recipes. Christine – right? I wanted to make that cake on the cover (Jeremy wanted me to make it), but I don’t have the right pan. Believe it or not, I’ve been browsing for one lately just because of that cake ;) The pink ladies worked well. I think I would have preferred fujis though, because they are slightly more tart – but that’s just me. And yes, I used them in a crisp last night that worked out fine. i would like to make this for a work party, but would probably need more than one tart (also, I don’t have a tart pan). Do you think this recipe could be successfully doubled and baked in a 9×13? Not nearly as beautiful, of course, but certainly still tasty, which is what matters the most? Or would I be better off doing two tarts in a springform and a pie plate (again, function over form)? Melinda – The recipe is for a 10-inch round tart pan, so let’s do the math. The area of that tart will be pi*r^2 (radius squared times pi) which is 3.14159x5x5 (diameter is 10, so radius is 5). This gives us: 78.5 square inches for the 10-inch round tart. Now let’s calculate the area of the rectangular pan: 9×13 = 117 square inches. The difference between the two is: 117 – 78.5 = 38.5 (square inches). That is approximately 50% of the original recipe (38.5/78.5 = .49 or 49%). So to properly convert the 10-inch round to the 9×13 rectangular, you will have to multiply the original recipe by 1.5 (or increase by 50%, same difference). So it’s really up to you how you want to do it, but don’t double it because that would be too full and might not bake through properly. Hope that helps! It does! I’ll look forward to trying it out next weekend. Thanks so much! What a gorgeous stunning tart!